Former Terrier All-American Shawn McEachern (photo) talks with the Daily News Tribune about his new challenge as head coach at The Rivers School. BU assistant captain David Warsofsky visited the NESN Sportsdesk to discuss the acquisition of his draft right by the Bruins. Sophomore wing Alex Chiasson begins his second Dallas Stars development camp tomorrow. Hockeysfuture.com reviews the San Jose Sharks' 2010 draft, including #1 pick Charlie Coyle. 2013 recruit Matt Grzelcyk was named to the USA Hockey Select 16 Development Camp all-star game. USA Today’s Kevin Allen reports that Jay Pandolfo, captain of the 1995-96 Terriers, has been placed on waivers by New Jersey. Pando, who was a Hobey Baker Award finalist in his senior season at BU, won Stanley Cups with the Devils in 2000 and 2003. The Patriot Ledger spoke with Charlie Coyle and David Warsofsky about the weekend events that made Coyle a first round draft choice and will give Warsofsky the opportunity to play for his hometown Bruins. Coyle will attend Sharks' development camp in July and Warsofsky will skate at the Bs' camp next week. From the Sharks Web site, we have a video inteview with Coyle during the draft proceedings at the Staples Center and another with San Jose Director of Scouting Tim Burke, a former UNH All-American, who discusses Coyle's game. After three days of the USA Hockey Select 16 Development Camp, 2013 recruit defenseman Matt Grzelcyk has two assists. He'll skate for the NTDP U17s next season. Jarrid Privitera, the younger brother of 2011 recruit Alexx Privitera who also is in the NTDP program, has 3 goals and an assist at the Select 16s. The younger Privitera will skate at The Gunnery School next season. 2010 recruit Yasin Cissé was selected by Atlanta in the fifth round of the 2010 NHL draft. The 6-3. 210 right wing, who has been recovering from a severed ankle tendon that cut short his season with Des Moines, is one of nine incoming Hockey East freshmen chosen in the draft, along with BU recruit Charlie Coyle, picked by San Jose in the first round, #28 overall. Boston University sports psychologist Dr. Len Zaichkowsky is working with the Vancouver Canucks to help assess the aptitude of draft prospects for development. There have been reports that Chris Bourque, MVP of the 2010 Calder Cup playoffs, has signed with the Russian KHL, but the former Terrier told PennLive.com "It’s not official," Bourque said. "I’m talking to them. The San Jose Sharks made 2010 recruit Charlie Coyle their first round draft choice in the 2010 NHL draft, picking him 28th overall. Coyle, who was ranked 24th among North American skaters, was among a record eleven American players taken in the first round of the draft. The Sharks have gone shopping at BU three other times in recent years, selecting Dan Spang in the 2nd round in 2002, John McCarthy in the 7th round in 2006 and Nick Bonino in the 6th round of 2007. Coyle becomes the 10th BU player taken in the first round of an NHL draft, joining Colin Wilson, Kevin Shattenkirk, Ryan Whitney, Rick DiPietro, Jeff Kealty, Scott Lachance, Keith Tkachuk, Scott Young and David Quinn. "(Charlie) has the potential to be a top-6 forward with size," said Sharks Director of Scouting Tim Burke. "He has good size, is very athletic, a well-rounded player. He does a lot of things well." The 6-2, 202, RW/C from E. Weymouth, Mass., was EJHL Rookie of the Year this past season, scoring 63 points for the South Shore Kings and also joined the U.S. NTDP U18s for the Four Nations Tournament in Finland, where he scored the game-winning goal in the tournament final. For the second time in three years, BU will kick off its season in the Ice Breaker Tournament, but this time it will away from Agganis Arena with the Terriers in St. Louis to meet Wisconsin on Oct. 8 and either Notre Dame or Holy Cross two days later. BU’s schedule includes 18 home games, three in-season tournaments (IceBreaker, The Shillelagh in Chicago and The Beanpot), out-of-conference games against Harvard, Brown and RPI, and two exhibition games. In addition to meeting Univ. of Toronto for a preseason tuneup on Oct. 2, BU has now added a Nov. 3 exhibition match up with the Swedish U20 National Team. For incoming freshmen Matt Nieto and Adam Clendening, that game will be somewhat of a reunion with many of the players they faced this past Spring as members of Team USA in the World U18 championships. Team USA defeated the Swedes in the gold-medal game. The home opener will be an Oct. 16 matchup with Don “Toot” Cahoon’s UMass Minutemen. Looking ahead -- At a recent alumni event in New York City, BU Athletic Director Mike Lynch announced that the Red Hot Hockey matchup of BU and Cornell, which sold out Madison Square Garden in 2007 and 2009, will be repeated in November 2011. The NHL draft at the Staples Center in Los Angeles begins tonight (Versus 7 p.m. ET). Here are two more features on 2010 recruit Charlie Coyle, who is expected to be a late first round or early second round pick. Since 1979, on five occasions a Terrier or Terrier recruit has been the first NCAA player or recruit drafted that year. Who are these five? The most recent is in the video clip below. You’ll find all the answers in a chart prepared by our friends at College Hockey News . More predraft articles about Charlie Coyle including a profile from NHL.com and a compilation of evaluations from a Dallas Web site. Coyle's performance at the recent NHL Combine, placing in the top 10 in 10 different categories of the physical testing, has, along with his on-ice skills, attracted attention from many NHL teams. An SB Nation blog focused on the N.J. Devils, one of the late first-round teams that has shown interest in Coyle, assesses his strengths as an NHL prospect. Coyle’s Q&A interview with an L.A. Kings fan blog. Following a strong season in Phoenix, veteran defenseman Adrian Aucoin has re-upped with the Coyotes. The Globe also talks with newly appointed prep school coaches Tony Amonte and Scott Young. The Predators’ trade of Jason Arnott to New Jersey was motivated, in part, by a desire to allow ex-Terrier All-American Colin Wilson to assume a bigger role in Nashville’s offense, reports OntheForecheck.com. Preds’ assistant general manager Paul Fenton, a former Terrier forward, says “"It's a natural progression to have him take over the #1 [center] position," while Red Light Hockey blogger Ryan Porth tweeted, "The Colin Wilson Era has begun in Nashville!" 2013 recruit Matt Grzelcyk, a Belmont Hill defenseman, will be in Rochester this week for USA Hockey's Select 16 development tournament. Among the participants are Gavin Stoick, a power forward reportedly on BU's radar, forward Jarrid Privitera, younger brother of 2011 recruit Alexx Privitera, and forward Daniel O'Regan, son of former Terrier amd NHL forward Tom O'Regan. Three incoming freshmen, forwards Charlie Coyle (photo) and Matt Nieto, and defenseman Adam Clendening were named by USA Hockey to the evaluation camp roster for the U.S Junior National Team. Camp will be held in Lake Placid, N.Y. beginning July 30. The team will compete in the World Junior Championships beginning late next December in Buffalo, N.Y., close to Clendening’s hometown of Niagara Falls. Charlie is a skilled forward who can play a power game as well as finesse. He has very good size and athleticism, soft hands, and is a confident puckhandler. His passes are accurate and proper for the situation. He has a long and strong stride and beats defenders with his acceleration and puck skills. He has a very good wrist shot to support his passing skills in his role as a major contributor to his team's offense. He should, however, shoot the puck more than he does to take advantage of his excellent shot." Both Nieto and Clendening, who played for gold-medal winning USA teams in the past two World U18 championships, have late fall birthdays and are not eligible for this year’s NHL draft. WIVB.TV video feature on Clendening. A number of the rule changes proposed by the NCAA Ice Hockey Rules Committee have the Division I coaches up in arms. Terrier Head Coach Jack Parker told The Daily Free Press which ones he opposes and why, including eliminating the icing exemption when a team is killing a penalty. He also explains his support for two of the proposed changes. Parker also discusses the status of right wing Yasin Cissé who will rejoin the 2010 recruit class, provided his injured ankle tendon continue to heal. With the 6-3, 210 Cissé in the fold, BU has, for now, 14 forwards for 2010-11, one fewer than usual. ►In a College Hockey News Q&A interview, Paul Kelly, Executive Director of College Hockey, Inc., discusses the competition with Major Junior teams for talent, possible expansion of college hockey and other topics. A feature story on the Vernon Vipers’ Web site tracks the path of 2010 recruit Sahir Gill from Terrace, B.C., to Vernon’s 2009 RBC Cup champs to Chicago and then back to Vernon for another title, and examines some of the changes Gill has made to improve his game. The annual BU Hockey Alumni golf outing was held Monday in Swampscott, Mass., with more than 30 former players and managers participating. Blog contributor CDRAL reports that Brandon Yip, part of a foursome with Jason Lawrence, Zach Cohen and John McCarthy, won the longest drive competition. Gary Fay flew in from Switzerland for the event and as did John Cullen from his home in Georgia. Others who hit fairway included: Ryan Monaghan, Brian McConnell, Brad Zancanaro, Kevin Kielt, Bob Deraney, David Thiesing, Shawn Ferullo, David Quinn, Tom Ryan, Peter Fish, Mike Bavis, Pete Donatelli, John Hynes, Dan Ronan, Mike Eruzione, Brian Durocher, Matt Marden, Marc Hetnik, Tony Ruvolo, Buddy Powers, Vic Stanfield, Ed Walsh, Dan Carnevale, Tim Kimball, Chuck Sullivan and Bill Whelton. Coach Parker introduced 2010-11 co-captain Joe Peireira as the recipient of the Ronald R. Dion Scholarship Fund, which was established to honor the memory of Ron Dion (CAS’68), a classmate of Coach Parker and a loyal and long-time Friend of BU Hockey. Dion attended games for more than 25 years, developing close friendships with players and coaches. The scholarship is awarded to one or more men’s ice hockey student-athletes enrolled at BU, based on merit, athletic achievement, and promise. Two days prior to the golf event, a group of hockey alumni gathered in Boston for a pre-tournament dinner. Attending were: Pat Aufiero, Chris Henes, Brian Collins, Brad Zancanaro,Carl Corrazini, Mike Dimella, Ken Roche, Ryan Whitney, Kevin Kielt, Kevin Schaeffer, Dan Spang, Andy Warren, John Laliberte, Dan Ronan, Brandon Yip, John McCarthy,Bernie Corbett, Ryan Monaghan, Karson Gillespie, Steve Greeley, John Cronin, Dan Cavanaugh, Zach Cohen, Jason Lawrence, Chris Higgins, and Brian Strait. 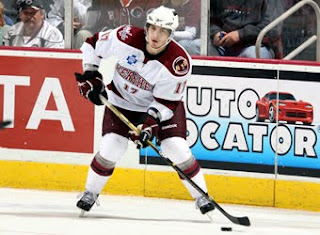 Chris Bourque and the Hershey Bears repeated as AHL Calder Cup champs, eliminating the Texas Stars, 4-0, in game six. Bourque, who now has played on three Calder Cup champions, led the Bears in post-season scoring with a 7-20-27 line and was named MVP of the Calder Cup playoffs. Playing for BU in 2004-05, Bourque earned MVP honors in the Beanpot, scoring the game-winner (video) in overtime against Northeastern. Former Terrier standout Joe Sacco, now head coach of the Colorado Avalanche, is among three finalists for the Jack Adams Award who are profiled by NHL.com. New England Hockey Journal reported on Tony Amonte's appointment at Thayer Academy's head coach and Shawn McEachern's appointment by The Rivers School. Mile High Hockey, looking at the Avalanche's defensive prospects, offers a profile of Colby Cohen. 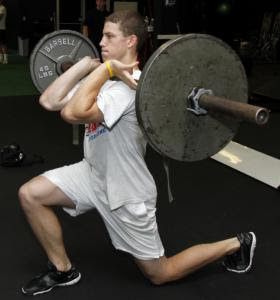 One of our readers forwarded an article from a few months back about the exercise regimen followed by 2010 recruit and "workout fanatic" Charlie Coyle. Coyle, who excelled at the recent NHL combine in Toronto, should love the time he’ll spend in Mike Boyle’s state-of-the-art strength and conditioning facility at Agganis Arena. Two of the nhl.com mock drafts have Coyle being selected by Anaheim late in the first round of the 2010 entry draft. Hockeysfuture.com profile. 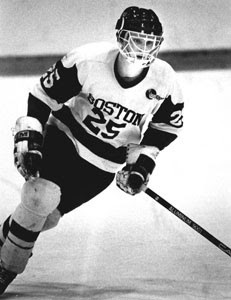 Former Terrier forward Scott Young has become the third BU alum in a matter of three weeks to become a prep school head coach, taking over behind the bench at St. Mark’s in Southborough, Mass.,where he played prior to BU. Last week Tony Amonte was named as head coach at Thayer Academy while Shawn McEachern recently assumed the top position at The Rivers School. All three went on from BU to lengthy NHL careers—a total of 47 seasons between them. Young played on two Stanley Cup champions and McEachern played on one. All three were members of Team USA which won the 1996 World Cup of Hockey. Amonte scored the game-winner in the decisive third game of the best-of-three against Canada to decide the gold medal. Amonte feature. Young represented the U.S. on three Olympic teams (1988, 1992, 2002) and is one of only 16 players to skate for three U.S Junior National Teams. He scored 65 points in two seasons at BU. During his 18 NHL seasons, he scored 756 points with a career-high 73 (40-43) in 2000-01 for St. Louis. Q&A interview. Among the rules changes under consideration for college hockey is allowing players to use half-shield helmets rather than the currently required full cage. BU Coach Jack Parker, who backs the proposed change, told the Boston Herald why. The Herald also reported that Boston has been selected to host the 2014 Frozen Four. Several other proposed changes have been controversial. College Hockey News editor Adam Wodon weighs in on a change that would prohibit icing while killing a penalty. 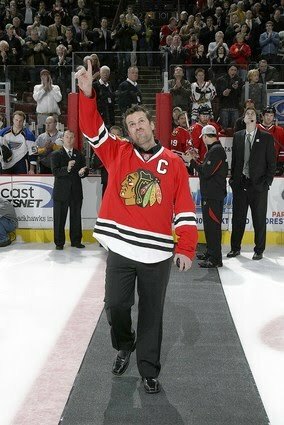 While his former team, the Chicago Blackhawks, was hoisting the Stanley Cup for the first time since the days of Bobby Hull, Stan Mikita and Eric Nesterenko, Tony Amonte begins a new career as head coach at Thayer Academy, his high school alma mater, as reported by U.S. Hockey Report. 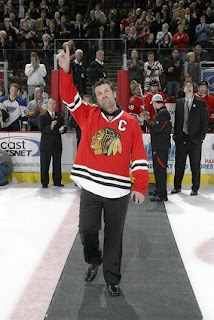 A November 2009 inductee to the U.S. Hockey Hall of Fame, Amonte starred at Thayer in the late '80s, teaming with Jeremy Roenick, who would become his teammate again in Chicago, where he spent eight seasons. Amonte scored an even 900 points in 16 NHL seasons (416-484) following 58- and 68-point seasons for the Terriers. BU reached the Final Four in both his varsity seasons, falling in the 1990 semifinals after stunning top-ranked Michigan State (video highlights) in the best-2-of-3 quarterfinals and reaching the 1991 national championship game, a triple overtime loss to Northern Michigan. 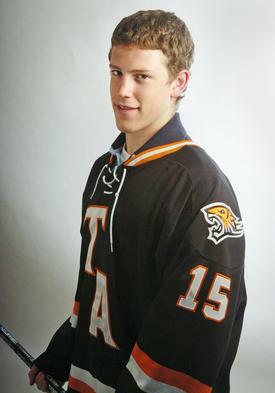 As we’ve noted numerous times, Amonte’s cousin is 2010 BU recruit Charlie Coyle. Tony’s sister, Kelly Amonte Hiller, was a four-time All-American in lacrosse at Maryland. She now is head coach at Northwestern, leading the Wildcats to five national championships. Amonte’s move to a head coaching slot in the prep ranks follows just a few weeks after his Terrier linemate Shawn McEachern was named head coach and athletic director at The Rivers School. The past season marked the 20th anniversary of the '89-'90 Terrier team – with freshman Amonte and sophomore McEachern helping to lead an improbable post-season run that saw BU win three best-of-three series after losing the opener each time: against Northeastern in the Hockey East quarterfinals, against North Dakota in the NCAA first round and against the Spartans in the quarterfinals. The run ended with a 3-2 loss to Colgate in the NCAA semifinals. The 89-90 squad has produced several other successful coaches, including Avalanche head coach Joe Sacco, Rangers assistant coach (and former Bruins head coach) Mike Sullivan, who captained the team, and current BU associate head coach Mike Bavis. Next week, blog contributor CDRAL will help us catch up on current activities of the other '89-'90 team members. He’ll be in touch with many of them on Monday when the annual Terrier hockey alumni golf tournament is held at Tedesco Country Club in Swampscott, Mass. Coyle plays for the South Shore Kings in the Eastern Junior Hockey League and combines excellent size with smooth puckhandling skills and playmaking ability. He has terrific vision and soft hands, and uses his size to win puck battles around the corners and create traffic around the slot. Coyle is also one of the EJHL's hardest workers and very unselfish with the puck. International Scouting Services list of top 30 draft prospects for June ranks Coyle at #28. The Lake Erie Monsters' Web site's preview of 2010-11 rookies begins with a profile of Colby Cohen who played the final three games of last season for the Monsters and Coach David Quinn on an amateur tryout. Chris Bourque recorded a pair of assists for the Hershey Bears in a 6-3 win over Texas in the AHL Calder Cup finals, which the Star lead, 2 games to 1. Bourque has 25 post-season points to go along with 70 in the regular season. The Chicago Blackhawks are just one win away from their first Stanley Cup championship since 1961, and the team from the Windy City seeking the clincher tonight has a few connections with Terrier Nation. Ron Anderson, a former Terrier standout forward, is the Blackhawks’ Director of Player Recruitment, following 8 years with the team as a scout. Anderson, who had spent 15 seasons as head coach at Merrimack College, played for legendary coach Jack Kelley’s back-to-back national championship teams (1971 & 1972) and scored a pair of goals in the 4-0 shutout of Cornell in the ’72 title game at Boston Garden. Kelley’s son, Mark, who played at Colby College and in Europe, is now in his third year in Chicago and his first as the team’s Director of Amateur Scouting. His brother, David Kelley, a former Princeton captain and writer/producer of Mystery Alaska, was in attendance at Sunday’s game 5 Chicago win and spoke with NHL.com about his favorite team. Cissé to rejoin 2010 recruit class? Yasin Cissé may rejoin BU's 2010 recruit if his injured ankle tendon is sufficiently healed, according to a recent report in The Boston Hockey Blog. Cissé, a 6-3, 210 power forward from Westmount, Quebec, had his USHL season with Des Moines cut short when an opponent's skate cut the tendon last December. BU had initially asked him to defer to 2011. 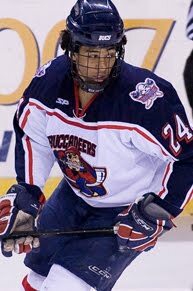 Cissé had been off to a torrid start for the Bucs, with a 13-6-19 line in 18 games. Combined with his impressive physical assets, those numbers earned him a midterm ranking of 83 from Central Scouting. Unable to play the rest of the season, he finished at #107 in the final rankings. Cisse has a great shot which is very quick. He has a quick release on his shot which was what helped him get those 13 goals in the 18 games. Along with Cisse's offensive skills, he also has some pretty solid defensive skills. Cisse is a very good back-checker. He gets down and blocks passes in the lanes, and also blocks the occasional shot. Skating, Cisse has great speed for a player of his size. The one thing that Cisse needs to work on for sure is to make sure he uses that size he has to finish his checks. If he can start hitting on a regular basis, he can only help himself. 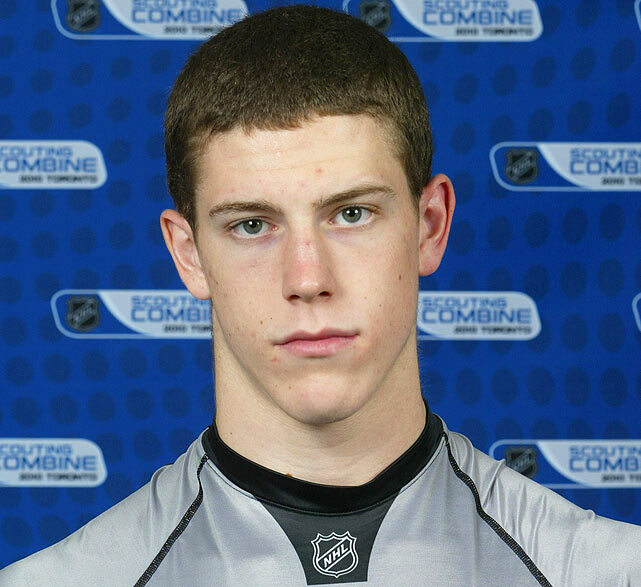 2010 recruit Charlie Coyle, whose on-ice ability has him projected as a late first round or early second round pick in this month's draft, solidified his standing with a strong showing in the physical testing at the NHL combine in Toronto. Coyle, a 6-2, 202, RW/C from the South Shore Kings, and a cousin of former BU standout Tony Amonte, placed in the top 10 in 10 different categories. Adam Clendening, a 2010 recruit, but draft eligible in 2011, talked with the Niagara Gazette about his decision to play college hockey and his choice of BU as well as his hopes to earn a spot on next year's USA team for the World Junior Championships in Buffalo. The Niagara Falls native cited Terrier strength and conditioning guru Mike Boyle as one of his key decision factors. Clendening led all NTDP U-18 defensemen in scoring with a 14-35-49 line in 65 games (and a team-leading 6-14-20 in international play)and was the top scoring defenseman in the recent World U-18 Championships where he helped led the U.S. to a second consecutive gold medal. His strong late-season performance, an all-tourney effort at the Worlds have strengthened his stock in early rankings for the 2011 draft. One early projection ranks the right-shot defenseman at #21. A BU Athletics Reception in New York City on June 17 will enable alumni and other BU fans to meet Head Coach Jack Parker, women's team Head Coach Brian Durocher and Olympian Mike Eruzione. Athletic Director Mike Lynch and the men's and women's basketball coaches also will be on hand for the event at Stout's, near Madison Square Garden, from 5:30-8:00 p.m. Details/registration.